BUILT: 1920s. The brick building replaced the original frame structure from 1912. 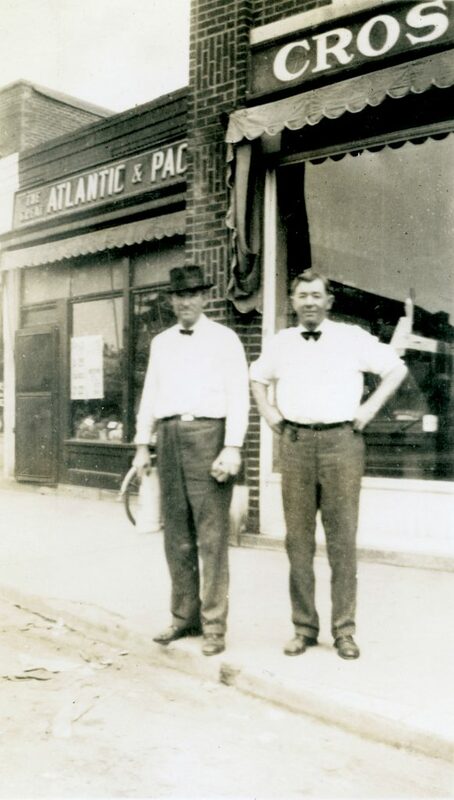 Brothers Herbert J. and Walter N. Cross opened their grocery store at 107 S. Railroad Ave. on May 12, 1912. At the time, a pound of flour cost 15 cents and a quart of milk cost 9 cents. 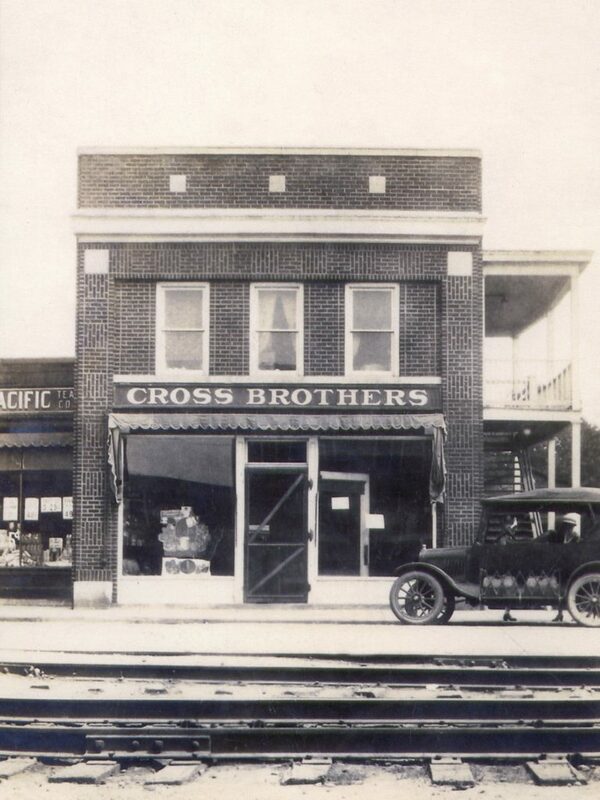 Cross Bros. was primarily a butcher shop in the beginning, but it grew rapidly and became an important anchor store in the Ashland business district. 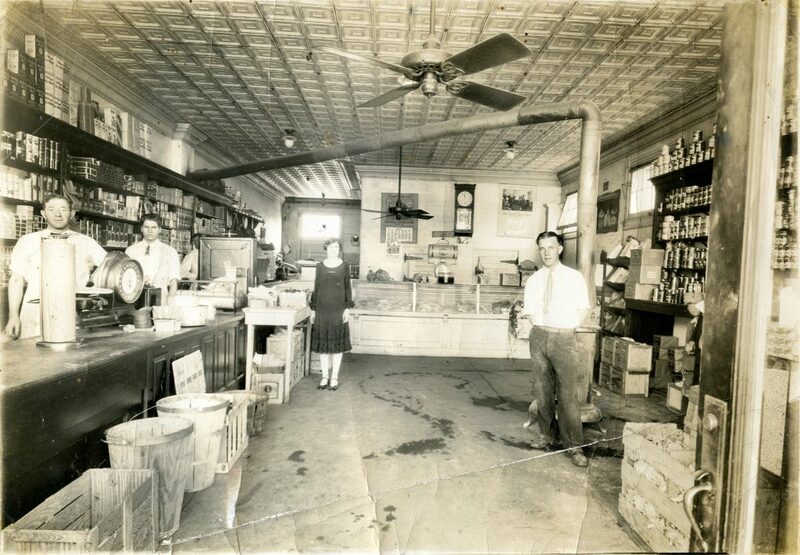 During World War I and II, many of the local townspeople were able to keep a running tab at the store. It was not uncommon for townspeople to have a charge account at local groceries, which would bill their customers monthly. 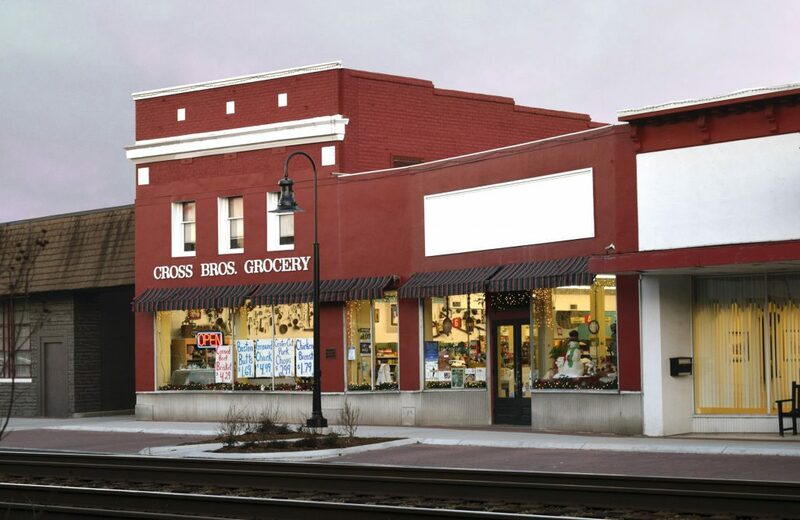 In addition, Cross’, like other stores in town, would take daily orders, shop for their customers, and deliver the orders to their customers’ doorstep. Three of Herbert Cross’ four children – Richard, Walter Lee and Katherine – followed in the business and continued to operate it. Ruth Cross Hawthorne came to work for the company in 1943. After returning from the Korean War, Tom Willis joined Cross Bros. in 1954. About the same time Frances Cross began to work alongside her brothers and sister. 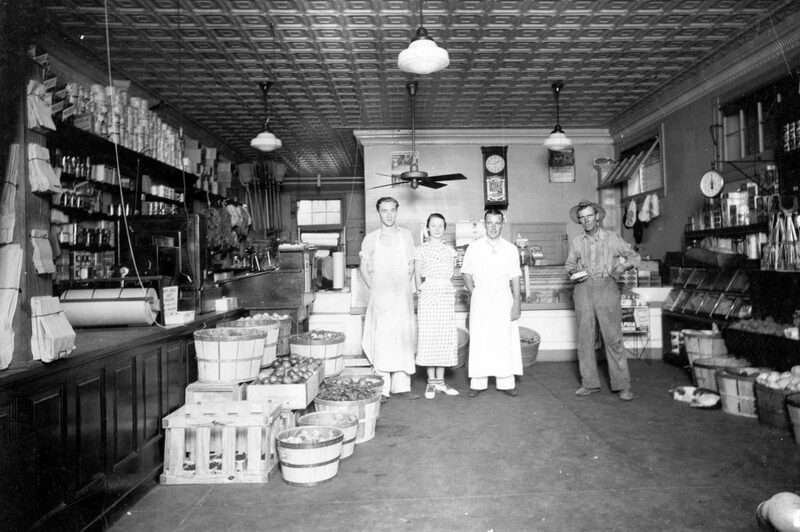 The Cross family sold the store in 1973 to Tom Willis and his wife Catherine and Ruth Cross Hawthorne and her husband William. In 2008, the Willis family became the sole owners of the business. Today, working along side of Tom Willis are his son David, his daughter Cathy Willis Waldrop and her husband Charles Waldrop. The original frame structure was replaced with a brick building, and by 1973, Cross Brothers Grocery had been enlarged four times.